We use 3D printing for all kinds of projects here at Punished Props Academy. 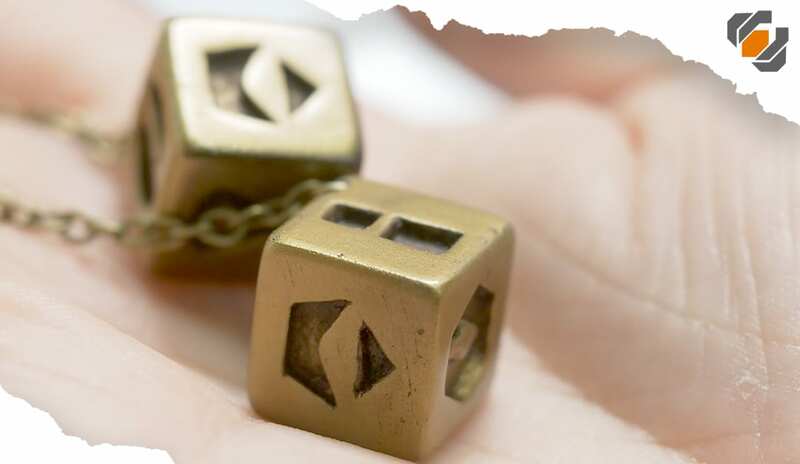 Whether we’re printing an entire prop for clean up, molding, and casting, printing small parts for a larger project, or even printing the casing for a mold, we’ve found a multitude of uses for this technique that we’re eager to share with you! Our current machines are the Ultimaker 2+ Extended, The Lulzbot Mini, and the Form 2 SLA Printer, but we’ve tried a few other printers as well! We encourage everyone to try modeling their own prints. 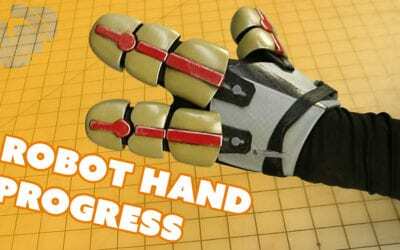 Once you learn how to model, you can print any prop or cosplay piece you want! If you’ve never modeled for 3D printing before, we recommend learning Fusion 360. 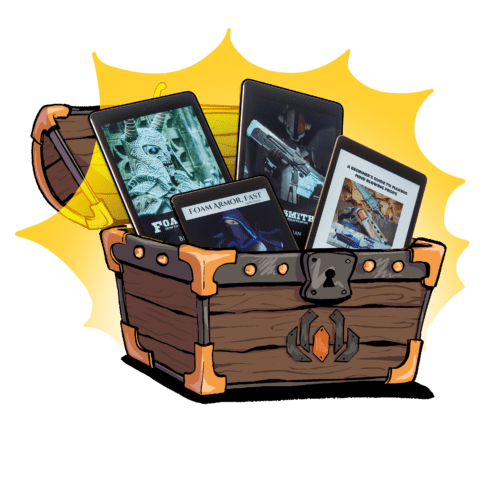 The program is free for students and hobbyists. Follow along with the tutorials on the Fusion 360 website to learn the basics. The program looks intimidating, but you only need a few of the tools to create simple items. To get a 3D model ready for printing, a slicing program is needed. Cura is the free slicer that works with the Ultimaker. For finer control, we invested in is Simplify3D. 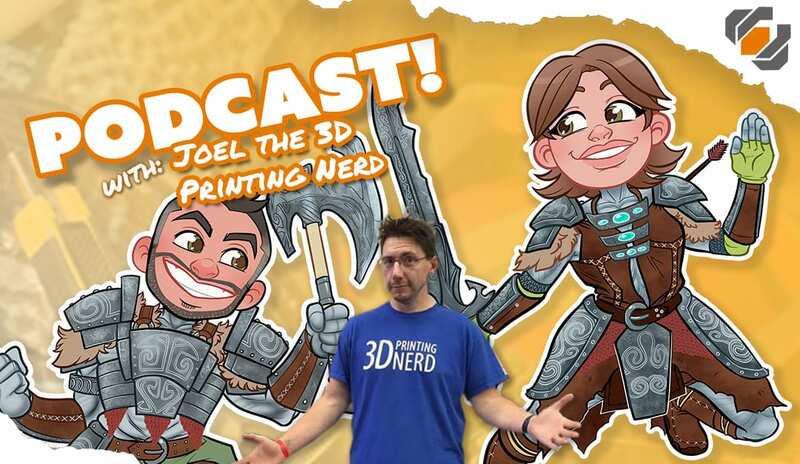 Check out this super handy podcast we did with our buddy Joel, The 3D Printing Nerd! We talk all about different aspects of 3D printing – printers, filament, and more! 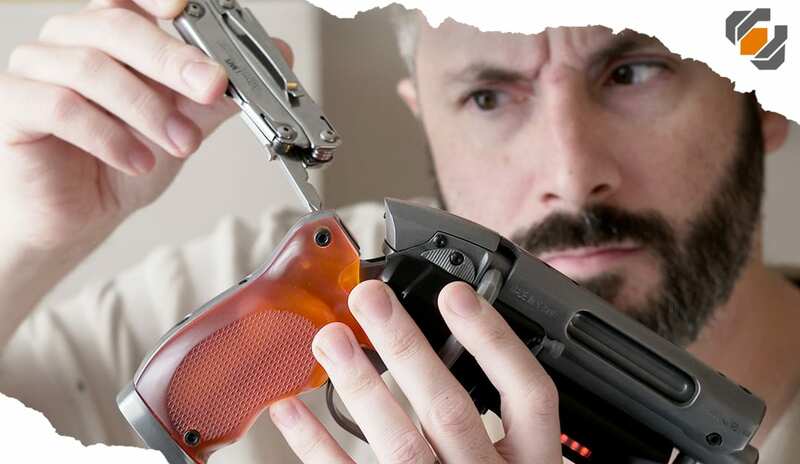 3D printing, molding, and casting the Bladerunner Blaster. 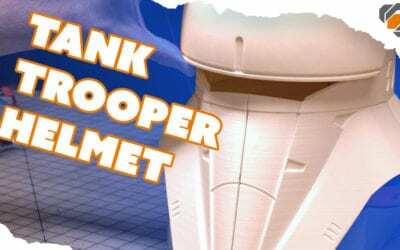 The time has come to start assembling the Star Wars Tank Trooper helmet that Bill printed on the Anet A8, low budget 3D printer! Bill learned a valuable lesson about leaving your 3D printed props in a hot car. 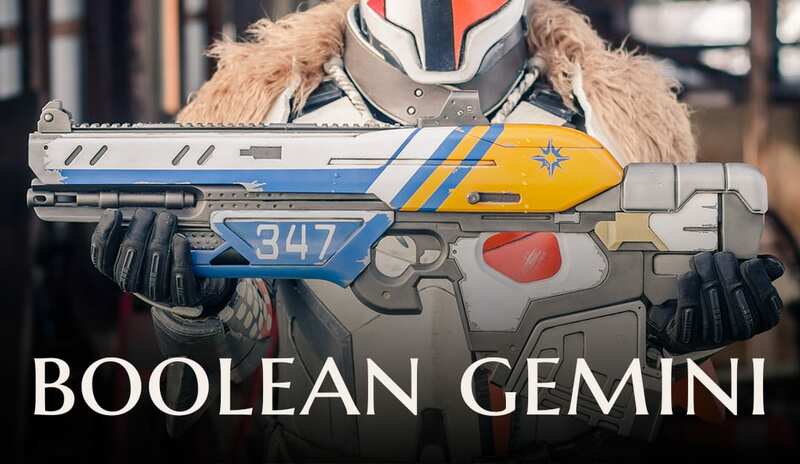 Unfortunately the Boolean Gemini Scout Rifle was forfeit. 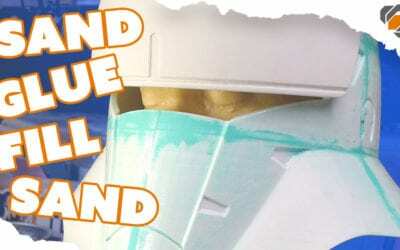 It’s time to kick off the cheap 3D printer prop helmet project. 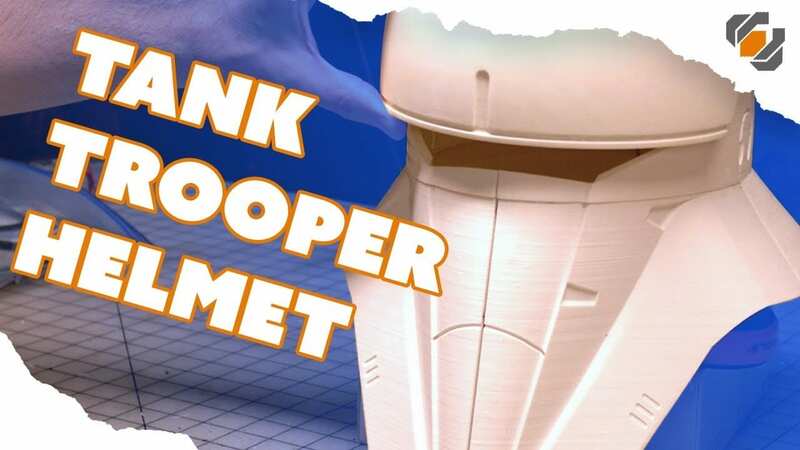 Follow along as Bill shows how he printed all of the parts for his Star Wars Tank Trooper helmet on the Anet A8. 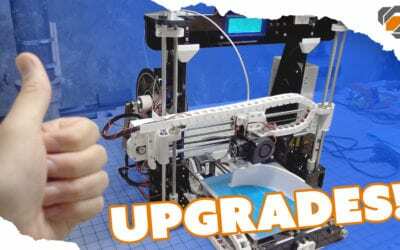 Now that we’ve made our Anet A8 3D printer safer, it’s time to add some upgrades that will make improve the print quality. 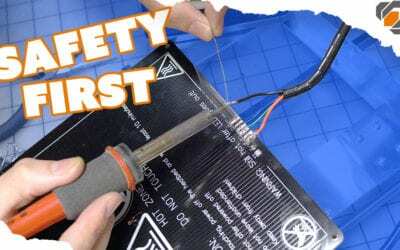 Cheap, DIY 3D printers can pose a significant fire and safety hazard if not used with extreme caution. Bill shows off the safety upgrades he’s made to this machine so that he can print his helmet with confidence. 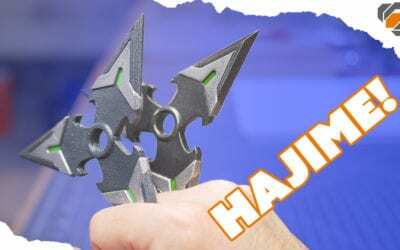 Flexible props can make amazing stunt and convention ready weapons! Follow Bill as he 3D models and prints Genji’s shrunken on the Lulzbot Taz Mini with the Flexystruder. 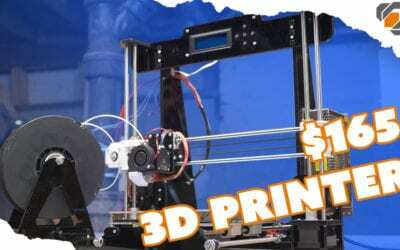 Bill and Britt start their low budget 3D printer adventure by putting together the $165 Anet A8 kit. 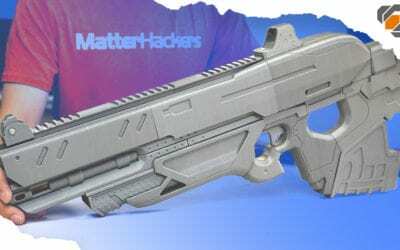 While at Matterhackers, Bill teamed up with Alec to show how the Destiny Boolean Gemini scout rifle prop is assembled from plethora of 3D printed parts. 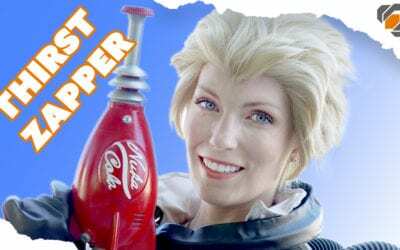 Bill and Ali Williams teamed up to bring the Nuka Cola Thirst Zapper prop to live! 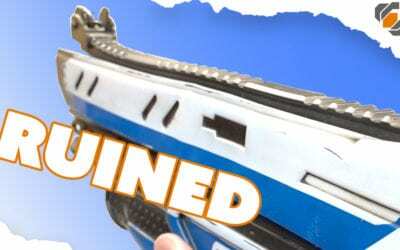 Together at the Matterhackers shop, the duo assembled and painted the prop gun. 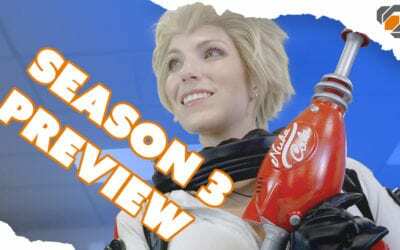 Prop 3D Season 3 is just around the corner and Bill has the rundown on what you can expect! We’re covering a budget 3D printer build, plenty of props, and experimenting with flexible filament! 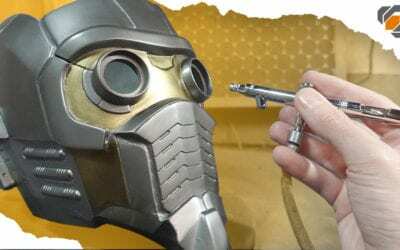 After reinforcing the Star-Lord helmet with epoxy and fiberglass, Bill got to work doing the bulk of the paint job. For this prop, he went with “metalizer” lacquers and an airbrush. You read that right. Last week I 3D printed a flexible glove platform and this week I made aesthetic shell pieces to cover up the finger parts. These pieces were modeled in Fusion 360 and printed on the Sigma 3D printer. In this video I show how I finished and assembled those parts.